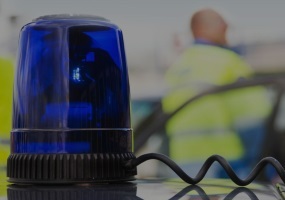 Capita Communication and Control Solutions is one of the major application developers providing public safety solutions to emergency services around the world. Phact and Prosody S – a virtual success. Phact was commissioned by an Italian telecoms operator to modernise its IVR platform, which was outmoded and incapable of being adapted to accommodate the desired innovation for delivery of new services. Aculab’s software stack underpins massive PSAP solution in Germany. The customer’s flagship system, a standard part of the central emergency call handling system used by police forces, fire departments and rescue services for many years, was ready for further evolution. 16th May 2017, Milton Keynes, UK – Aculab, a leading provider of deployment proven telephony APIs for the global communications market, is pleased to announce Callglide’s use of Aculab Cloud in its Salesforce CRM integration. Aculab participated in the Next Generation 112 Communications Plugtests event, held in Sophia-Antipolis, France and organised by ETSI and EENA. The purpose of the event was to trial independently and jointly all components of the 112 communication chain based on NG112 networks.